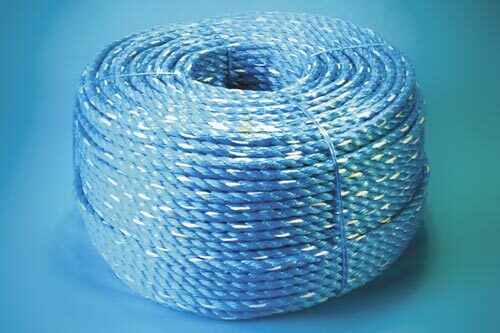 Danline rope is a quality rope, made from PP. 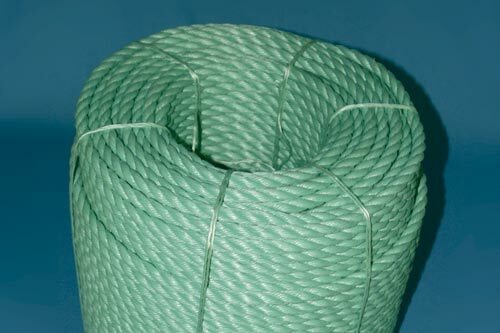 The rope is 3-stranded and is as standard available in green colour, sizes from Ø 3 to Ø 40 mm with a breaking strength from 105 to 26860 kg. Danline is soft, flexible, UV-resistant and therefore long-lasting, making Danline an all-round rope with many possibilities for usage. Danline is, among others, used as mooring, demarcation and in fishing also as floatline. 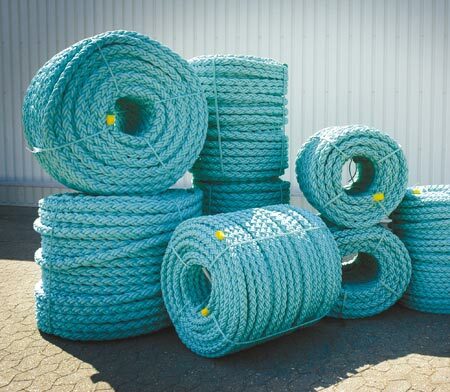 If you require a strong mooring rope Danline is a good choice, a good, solid quality rope, available in standard sizes from Ø 32 to Ø 44 mm with a very high breaking strength from 17900 to 32900 kg. 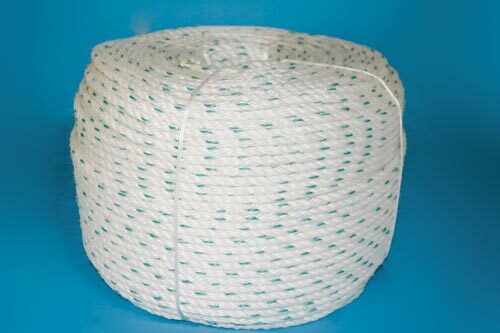 Dropline sinkrope is a 3-stranded quality rope, made from polyester / Danline. It is available from Ø 6 to Ø 16 mm with a breaking strength from 770 to 4910 kg in the colour white with blue tracer. Dropline sinkrope is very suitable as e.g. anchor line and other common purposes requiring a good rope with great breaking strength. Apte au montage comme ralingue. Ne fait pas de coques! La qualité de Randers Reb avec le fil de repère rouge. 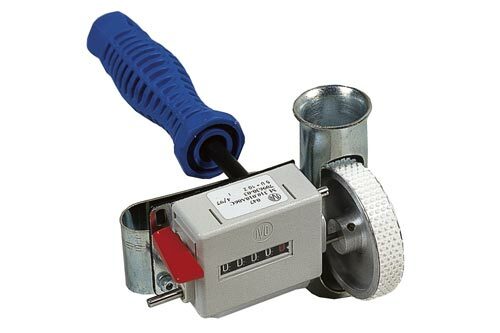 An electrical knife is an efficient way of cutting rope. The knife blade works with heat, so that the rope is cut and at the same time the ends are melted which prevents frayed ends on the rope. Extra knife blades can be purchased. 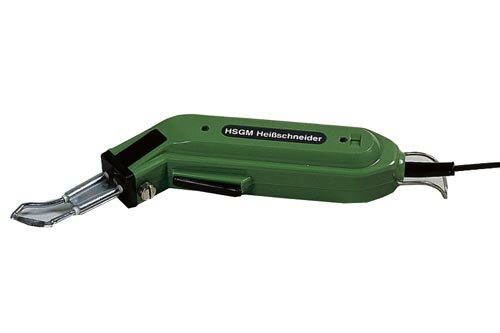 A rope measurer is an efficient and reliable tool, making measuring of rope as easy as can be.